Get announcements of new topics and important updates to existing topics from Humboldt County in your RSS reader or emailed to you as a daily digest. Which county projects are most important to you? 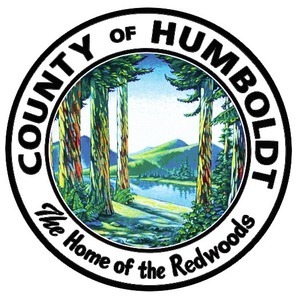 The County of Humboldt in March held three Roadshows around the county to discuss the Board's Strategic Framework and learn from attendees which current projects are most important to them. Now, the county is looking to hear from other parts of community. Below is a video synopsis of one of this year's Roadshow meetings. Please take a few moments to look over the Strategic Framework document, view the video and tell the county where it should focus its energy going forward. Humboldt County and the seven cities within its boundaries are developing a Climate Action Plan (CAP) to reduce greenhouse gas (GHG) emissions throughout the region. With this plan, Humboldt residents have an opportunity to inform how their local governments address climate change. Please help establish Humboldt County's CAP priorities by completing this survey. It should take no longer than 10 minutes. The County of Humboldt Board of Supervisors adopted Prosperity! 2018, the county’s Comprehensive Economic Development Strategy (CEDS) on November 13, 2018. Prosperity! 2018 is a guide for economic development in the Humboldt County Region for 2018-2023. It is a flexible plan meant to be a way for the region to work together to collaborate on the best uses of public and private funds to enhance the economy of the county. View the 2018 CEDS document. The adopted, final version of the CEDS is an amended version of the draft which was made available to the public for comment from September 11, 2018 through October 23, 2018. The final version incorporates changes made in response to comments received from the public during the comment period. The additional feedback helped staff and the CEDS Strategy Committee modify recommended strategies. Major changes were the re-write of the Executive Summary, more defined strategies and several projects added to the projects list. The adopted document was submitted to the US Economic Development Department (EDA) on November 30, 2018 for their review and approval. In the past, the CEDS document has focused on several “industry clusters.” Industry clusters are related by industry, geography, shared workforce needs, transportation issues, or other factors. Certain clusters, named the “Targets of Opportunity” gained attention because they each fit a number of criteria including providing good jobs, sending exports outside the region, and producing growth over time. In addition to the six industries above, two additional industries that did not fit all of the criteria were selected for additional focus: Tourism and Forest Products. County staff will work with key stakeholders, community partners and the citizens of Humboldt County to implement the strategies outlined in Prosperity! 2018. Continued public participation is encouraged. To obtain a hard copy of the CEDS or supporting documents, please contact the Humboldt County Economic Development Division at (707) 445-7745 or email Kenneth Spain at kspain1@co.humboldt.ca.us. Prosperity! 2018 is an update to the 5-year Economic Development Plan for Humboldt County. The official name of the plan is the Comprehensive Economic Development Strategy (CEDS). The CEDS is a federally required plan that is partially funded by the US Economic Development Administration. 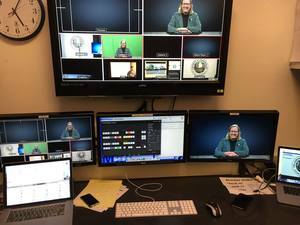 A CEDS is developed by reaching out to a broad public audience. The plan is meant to guide elected officials in prioritizing public investment in support of business development and worker training. Humboldt County’s original CEDS was produced in 1999 and was updated in 2007 and 2012. The process encourages the public, business and government to work together to build a resilient local economy. You are invted to review the CEDS document, in parts, and let us know whether the strategy is up to snuff. 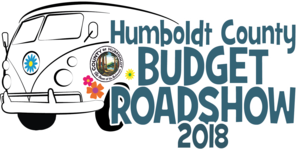 If you did not get a chance to attend one of the four Budget Roadshow stops (in McKinleyville, Benbow, Eureka and Willow Creek), you can check out the presentation below. In addition, there is supporting documentation for this meeting immediately below, along with an interactive budget application that allows you to click through the budget to inspect the county's spending and revenues. Which intersections are most important to you? The Department of Public Works is in the process of undertaking a massive project to install and upgrade curb ramps to current Americans with Disabilities Act (ADA) specifications. There are more than 700 intersections that need to be improved. In order to prioritize the intersections, Public Works is seeking your input. We are asking that you tell us your top 10 most important intersections. 1 - You can write out the intersections (cross streets) you want to see improved. If you're unsure whether your intersection is up for consideration, we have a list of nearly 700 intersections to choose from. 2 - We have also provided an interactive map that allows you to place pins on the intersections of your choosing. 3 - If neither option above work for you, you can also email staff or send your suggestions in via U.S. Mail. In all, the survey should take less than 5 minutes to complete. Are you ready for wildfire? Answer our survey to help protect our community. The County of Humboldt is in the process of updating the Humboldt County Community Wildfire Protection Plan, or “CWPP”. The CWPP is intended to inspire and guide actions that will mitigate wildfire losses in all vulnerable communities within Humboldt County and help communities become more Firewise and fire adapted. 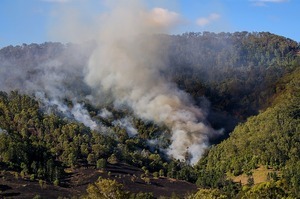 It is being updated to reflect current wildfire risks, celebrate accomplishments from the past 5 years, and present the most up-to-date recommendations for how to prepare Humboldt County communities for wildfire. As part of the CWPP process, we’re seeking input from Humboldt County residents regarding priorities for preparing vulnerable communities in Humboldt County for the eventuality of wildfire. Please take a few minutes to answer our survey. 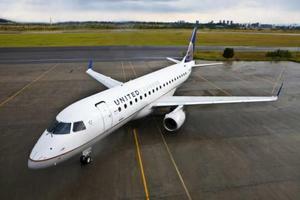 Please take a moment to compete a short survey on the Humboldt County Airport. In November 2016, Humboldt County voters passed Measure S which places a tax on individuals who cultivate cannabis for commercial purposes. Now, the Board of Supervisors wants to hear from you. They want to know your priorities for funds generated by this tax. The county estimates Measure S will produce around $2.2 million in revenue in Fiscal Year 2017-18. Humboldt County also manages the Hammond Trail, and is currently working on a plan to open the McKay Community Forest for public access, as well as the engineering and permitting for a portion of the Humboldt Bay Trail. 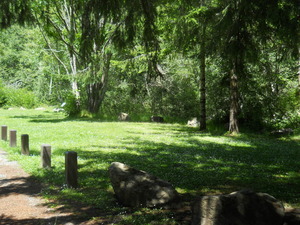 The County Parks budget includes revenue from camping fees (five campgrounds) and day-use fees (at four parks) and an allocation from the County General Fund. In the current fiscal year, the projected revenue is $386,680 and the General Fund allocation is $274,468. Two of the 15 parks have revenues that exceed the management and maintenance costs, while the other 13 parks have either no revenue or revenue less than total costs. The fee for overnight camping is $20 at A.W. Way, Big Lagoon, Samoa, and Van Duzen, and $15 at Clam Beach. Day-use fees are $2 at Big Lagoon, $3 at A.W. Way, $3 to $5 at Freshwater, and $5 at Van Duzen. Historically County Parks have been maintained with a limited budget; now a spike in insurance costs ($91,842 this fiscal year) has forced consideration of options for increasing funding, reducing expenses, or a combination of both. Our annual Community Budget Meeting is tonight. It would be great if you could make it, but if not there are several easy ways to participate, including using the Open Humboldt Discussion forum. Each year we face unique challenges and have difficult decision to make. This year the County of Humboldt is considering re-hauling the structure of some of our departments, and potentially placing a Cannabis Excise Tax on the November ballot. We want to hear about your hopes and concerns on these issues. We also want to hear from you in regards to Measure Z, and what else you would like to see at our annual Community Budget Meetings. We hope you enjoy the Community Budget Meeting, and we look forward to your feedback! The County of Humboldt invites you to take part in the DHHS Community Input Survey. You may have heard Director Phil Crandall, Director of Humboldt County’s Department of Health and Human Services (DHHS), has announced that he will retire in January, 2016; Mr. Crandall has been the director for DHHS since 2001. Transition is an opportune time to review the great work the department has been doing, seek opportunities to improve and identify the ideal candidate competencies for the next leader for DHHS. To accomplish this, the County has hired WBCP, consultants with over 100 years of combined county experience focused in health and human services and includes executive management, fiscal and program staff, and executive recruitment professionals. WBCP is seeking input from stakeholders, clients, staff and the general public, and requests community residents provide their input via a meeting on June 23rd (5:00 – 6:30 p.m. at Humboldt County Agricultural Center, 5650 South Broadway, Eureka) and/or completion of this survey by June 29, 2015. Input from you can be anonymous, or you can choose to include your name and/or district where you live. It's your choice. Thank you for your time to provide your input, which will help Humboldt County assure the Department of Health and Human Service remains the premier agency in the region and continues to serve the residents in Humboldt County with the utmost respect and care, and delivery of quality services. How Should Funds Be Invested From Measure Z Sales Tax? With expenses increasing at a rate higher than revenues, the County of Humboldt struggles to provide its current levels of service. Measure Z was passed by voters in November to maintain and improve essential Humboldt County services, including public safety. Now we need to get down to specifics. Please visit the Open Humboldt forum and tell us ask what your priorities are for Measure Z spending. Mobile App now available for iTunes! Hello again, The County's new app is now available on iTunes for you to try! It was previously only available on Android devices. Please take a moment to download it and leave your feedback on Open Humboldt. 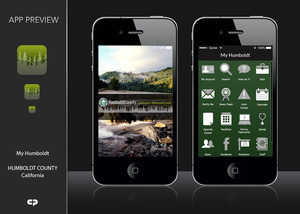 Once downloaded, enter the code "CA-HumboldtCounty"
After bringing you a new website for Humboldt County, the next step we're taking to make information and services more accessible to you is to develop a mobile app. And we need your help. 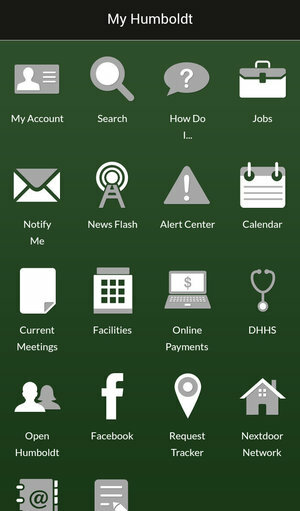 Let us know what information, services and features you want to access on-the-go. A test version of our app is already available for you to download and try (only available right now on Android). Please give us your feedback. Follow the link for instructions on how to download the app. Let us know what is important to you: Receiving County news? Finding our facilities on a map? Reporting issues? Paying for services? Viewing the Board of Supervisors meeting schedule? Signing up for alerts and notifications? Or accessing any other County-related content? 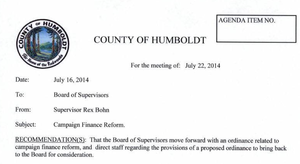 On Tuesday, July 22, the Humboldt County Board of Supervisors is taking up Campaign Finance Reform as an agenda item. You can go to the Supervisor's meeting starting at 9am at 825 Fifth Street, Eureka CA 95501 Supervisors' Chamber, First Floor. You can also post your response to the survey on Open Humboldt. The Board will consider input from Open Humboldt as well as in-person speakers.